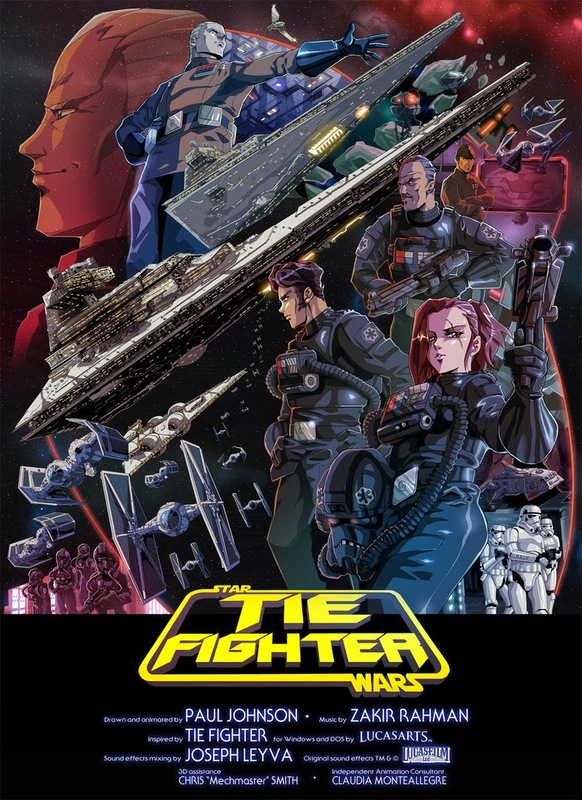 It took animator Paul Johnson four years to complete his passion project and the result is a glorious seven-minute short anime film combining his love of 80's action-packed Japanese animation and the 1994 Star Wars video game, TIE Fighter. As YouTuber Otaking77077, Johnson has put together an astonishing and professional animated short that rocks both figuratively and literally. The point-of-view is mostly from the Empire's side as it eventually kicks the pesky Rebels out of the sky. Each cockpit is highly detailed with homage to the LucasArts video game and an electric guitar-pounding soundtrack by Zakir Rahman. The dramatic cinematic style of Robotech shines through in its direction and approach. There's no audible dialogue just pure adrenaline-fueled firefighting and sweet, sweet rock music. Enjoy! I love this! Excellent achievement! Wow. Absolutely marvellous. I can imagine this must have taken you 4 years. Respect.